Lawrence College, Ghora Gali, Murree a hundred and fifty eight years old residential institution of international reputation with glorious traditions and providing quality education, offers golden opportunity to the talented youth for admission to Class-I (fresh admission) and Class II to VIII as per the availability of seats (including GCE `0′ Level) for the academic session commencing March — 2018. 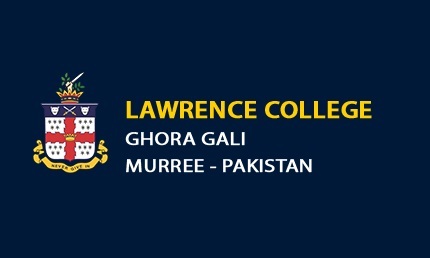 15″ Jan, 2018 Cost Rs.1000/-by hand or National Bank of Pakistan (Onwards) Demand Draft in favour of Principal Lawrence College Murree for Rs.1500/- by post. (Sunday) English, Math, Urdu for Class I – VII, English, Math, Urdu & Science for Class VIII / “0” Level applicants. Demand Draft of Rs.1500/- in favour of Principal Lawrence College Murree from National Bank of Pakistan drawn on NBP Ghora Gali Branch (0692) Murree District Rawalpindi, Pakistan. There are no reserved seats or quota for any category. All admissions are made strictly on merit only .